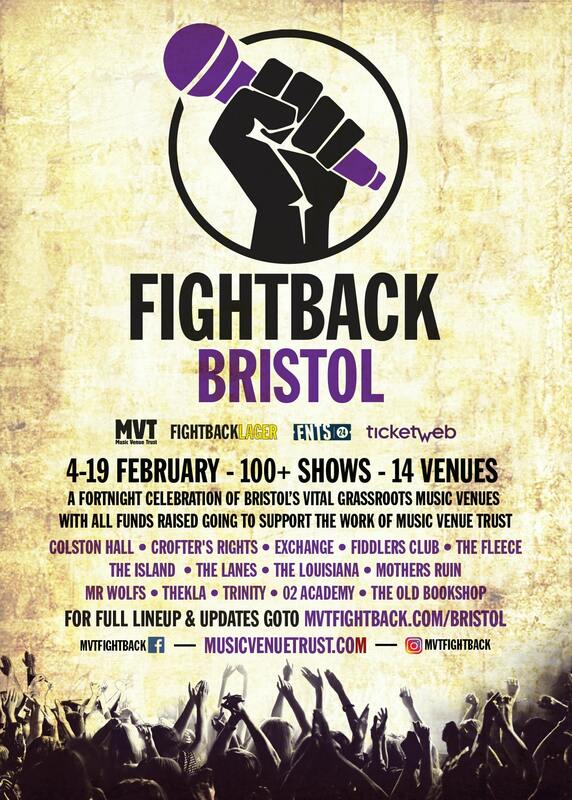 Grassroots Music Venues across Bristol are uniting to create a fortnight festival of music - Fightback Bristol. Now with 14 participating venues confirmed, Ents24 are delighted to work alongside the Music Venue Trust, taking place from 4th-18th February 2019. 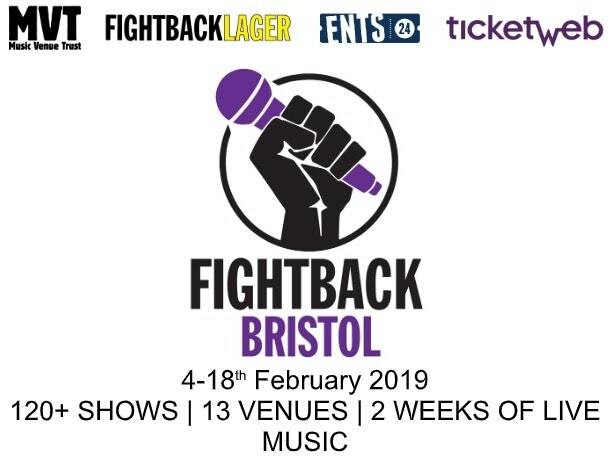 Fightback Bristol is a new campaign that will encourage audiences to visit their local grassroots music venue and promote Bristol's emerging and existing musical talent, which will include live music every day throughout the festival at a whole range of venues across Bristol. Graham MacLean from Ents24 said: "Supporting venues has been an essential part of our 20-year history as the UK's largest live guide, and we continue to work with hundreds of grassroots venues around the UK to provide them with the tools and assistance to help them fill their venues with live music fans. We're incredibly proud to be part of Fightback Bristol, where we can build upon our ongoing work with the Music Venue Trust and the pivotal cultural centres they support." Gary Prosser of Music Venue Trust said: "These venues are the backbone of the live music scene in Bristol, providing spaces where artists can take their first steps, develop and grow. Fightback Bristol provides an opportunity to showcase the fantastic range of artists and venues that Bristol enjoys, celebrating the history of our music scene and supporting its future." A number of venues will be stocking Fightback Lager, Music Venues Trust's new project to raise money to help grassroots venues throughout the country, providing venues with an affordable beer that financially helps the whole sector. Music Venue Trust is a registered charity, created in January 2014 to protect the UK live music network by securing the long-term future of iconic grassroots music venues.